Find a registration station close to you. To see the list of RAPIDGate locations, search the map below. Agreement provided during registration at the registration station. Download the PDF guidebook for a step-by-step overview of the registration process. You will receive a notification email for credential issuance with directions on how to pick up the RAPIDGate credential. Allow a minimum of 15 minutes for issuance. Bring two different forms of identification. Both must be originals and current, as expired or canceled documents are unacceptable. One document must have a photo. Please view Acceptable Identification Documents for a complete list. 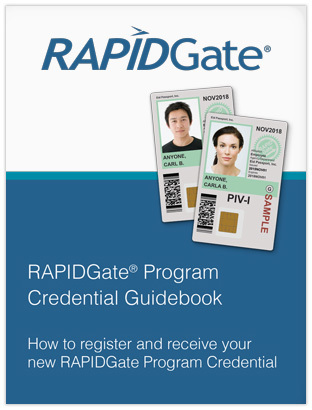 Many RAPIDGate® participants are unable to pick up their credentials on the first appointment because they bring the wrong identity-proofing documents. Save a trip and avoid a second appointment by providing the appropriate Acceptable Identification Documents. Make sure the identification documents you bring match the name you registered with! To learn more, see the Name Matching Reference Guide. 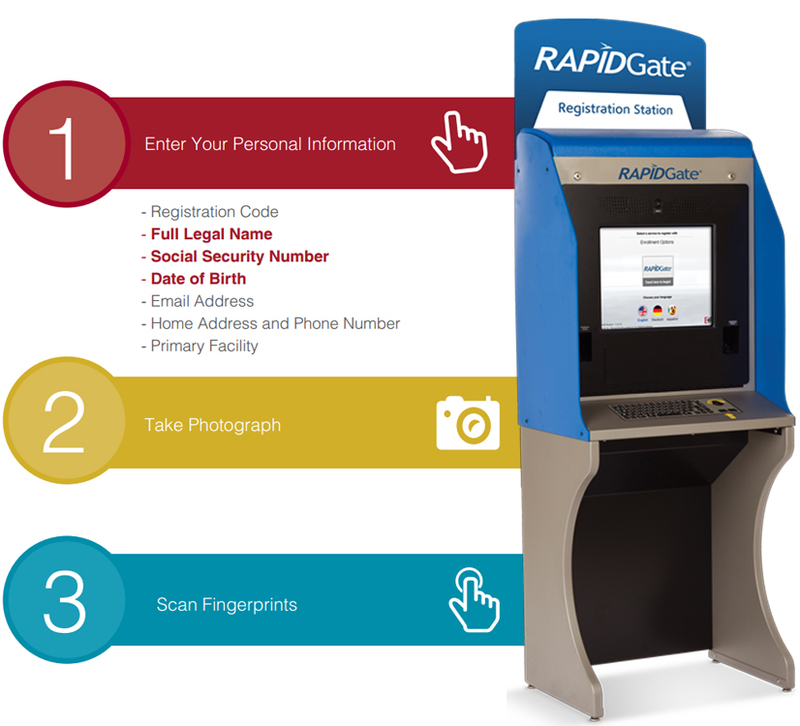 You will be asked to rescan your fingerprints to verify your identity with a scan of your fingerprints to ensure they match the fingerprint the RAPIDGate Program has on file. Digital certificates will be written to your credential (7 min). You will be required to sign a Subscriber Agreement to receive your RAPIDGate Program Credential. The agreement is entered into during credential issuance (RAPIDGate Premier), governing your rights and obligations with respect to the receipt and use of a PIV-I Credential issued to you.